What Can You Do To Save Money at the Pharmacy? 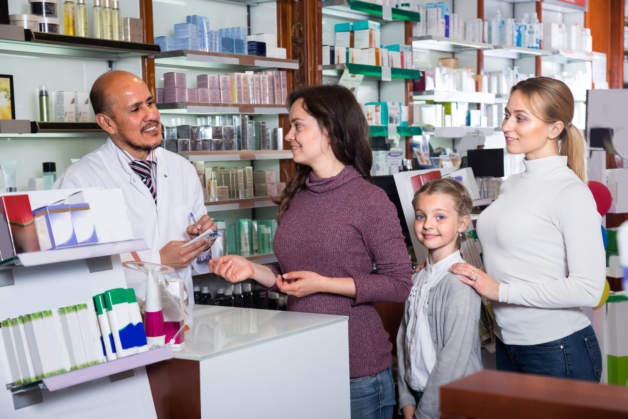 One of the best ways to save money on your medications and health care supplies is to use a local drugstore in Palm Harbor, Florida. These establishments offer lower prices compared to big chain pharmacies and you will also be able to enjoy much better services. Big chain pharmacies only care about making a profit but your community pharmacy is focused on you. Another great way to save money the next time you are at a pharmacy in Palm Harbor, Florida is to use generic drugs. Brand name medications can be very expensive, especially if you have a chronic or long-term condition to treat. For this reason, it is a good idea to switch to generic drugs. Generic medications are far more affordable, just as effective, and safe to use. Many insurance companies will also help shoulder the financial burden, which will further make it more affordable. It is a good idea to check your insurance because many companies will help cover the costs of your medications. This can make it much easier to pay for the health care supplies you need. The best way to save money on medications is to make sure you do not need to use them in the first place. By maintaining a healthy lifestyle, you will fall ill far less often, which means you will not have to spend as much money on medications. Some great ways to maintain your health include exercising and eating right. Those are just a few of the many ways that you can use in order to save money on your medications. If you would like to find out more about saving money or if you are interested in our services, please do not hesitate to get in touch with us at St. Mary Pharmacy anytime for more information. This entry was posted in Pharmacy Services and tagged drugstore, local pharmacy, Save Money. Bookmark the permalink.